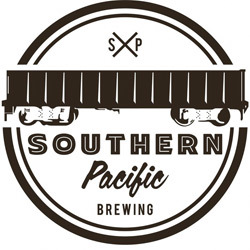 This month the Grand Cru is going to check out San Francisco’s newest brewpub, Southern Pacific Brewing. Nestled in the heart of the Mission, SPB is striving to impress with it’s clean, classic-style brews, tasty food, and ample elbow room – standing capacity is 300 people! It sounds like the perfect place for a relaxing Sunday afternoon beer, so let’s go see what they have to offer.